I am writing to you today to express my great disappointment in your establishment. 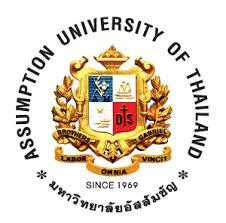 When I register for your university last year, I had been told the greatest comments about Assumption: many consider it to be the greatest international university in Thailand. I was quickly disillusioned upon setting foot here and realized that if Assumption shined so brightly, it was more for its grandiose buildings than for the quality of the courses given. Put simply, Assumption is not an international university, no matter how much you’d like it to be. Oh, you can boast yourself with having the biggest number of foreign students and classes in English; but quantity doesn’t mean quality. It’s nonetheless amusing to meet seniors that can barely line up two sentences together in English. I’m positive that no one checked my high school degree when I first applied here, and seeing what kind of students attend AU, I am not surprised that such basic measure wasn’t taken. You pride yourself of being a highly ethical university, yet there are more cheaters on this campus than I have ever seen in my life. How can your teachers not spot them if I can while I am, myself, doing my exam? That is quite odd. What is even more appalling is that some teachers provide cheating material to their students - yes, you read that well, teachers actually either give the exams questions to their class or squarely hand a copy out to the students. But cheating is the less of my concerns, there are far more upsetting matters that occur in your institution. The English level required to study at Assumption is in no way up to international standards. Not only do the students have a very low level even after graduating, the professors don’t even use proper language most of the time. The spelling and grammar is off in slides, presentations, handouts, and even in examinations - so much that it is sometimes difficult to understand the questions. It wouldn’t very hard to put in place a committee that would proof-read exams before sending them to the mass printer. I have no problem having teachers from any nationality, nor do I require professors who learned English as their first language - however, I would appreciate being able to understand my class, without having to take a break every other sentence because it is in a foreign language. Why translate the class? If the students’ English level is too low to understand, shouldn’t they study English before taking classes in English? Moreover, I have the feeling many things in ABAC are intentionally levelled down, to give access to a larger crowd of people: first and second year teachers avoid putting essay questions in their exams because they suspect their students’ English level is not high enough to understand, teachers giving marks for students attending class, teachers making group assignments under false claims in hope that one of the students in the group might actually grant them all an A, etc. The grading system is sketchy, at best. We rarely get to see our corrected exams, which doesn’t allow us to learn from our mistakes. I encountered many assignments with close to no directives, and absolutely no grading criteria: it came down to the professor’s opinion, which could easily be biased. I’m not even going to start about students giving gifts to the teachers to raise their marks. Another interesting point to note is how self-centered your university is. For an international university, it is beyond ridiculous to be forced by professors to choose topics relating to Thailand when making a project. I understand that it is the country we live in, but there are other matters, important matters, outside of our borders that need our attention as much as what is happening here. The world is going through globalization, our future jobs will need us to be more informed than ever on the world trends and Assumption is not leading us toward that goal. Furthermore, on the topic of students, the services you offer could be much more efficient. You have an official website (which link to dozens of other websites more or less up to date, whose usefulness could be questioned), a Facebook page, a Twitter account, a Youtube page, an Instagram account and several offices in SM hall that carries information for students. Yet it is impossible to find all the crucial information on one platform. Pictures are uploaded more diligently on Facebook than information about registration, the ethic seminar schedule (which, this semester, was posted one week in the schedule), the classes available, etc. Sometimes I receive emails on my student email (I found it by accident), with information that isn’t available anywhere else. And if you’re (un)lucky enough to be an international student, gather all the patience you can when it comes to getting your visa or extend it. Regarding this last issue, I was turned down without the smallest apology when it came to send my 90 days notifications. Why? Oh, because of the troubles in Bangkok, it is too dangerous to send Assumption’s staff to the immigration office. It sounds much safer to send foreign students by themselves, right? Especially when the whole process can easily be done by registered mail - I found that by myself too. The registrar office is probably the place causing the most headaches in the whole university - yes, much worse than any calculus class. There are four desks in this office and I have had multiple problems with 3 of them. I already mentioned the visa helpdesk, so let’s proceed with the registration one. I don’t even know why this desk exists, it is completely useless. During my first semester, I was told to get my schedule printed there. The woman never gave it to me, and referred me to one of Assumption’s several website to look it up: "Go to info pool." Mind you, she never mentioned it was a website, or how to access it. So much for an office offering services to students. The desk responsible for the temporary ID card was also a lovely experience. I was charged B200 for a ridiculous piece of paper. Now, the office responsible for the fee told me that I had to pay once for the duration of the exam period, and could get a paper for every exam. Not so much when I go in SM116. AU, maybe you should hold a sit down with all of your employees because, apparently, none of them is telling the same thing to the next student. Now I’m coming to the biggest and most ridiculous issue concerning Assumption University: registration. I am completely dumbfounded by ABAC's preregistration process. Who is this system's supposed to favour? The students that have been here the longest? This is non-understandable for me. I have to come to know the crowd that usually makes up classes: there are the serious students and the others. The latter group will probably graduate in 5 or 6 years, if they do not drop out before. These students are obviously my seniors, and I wonder why they get to choose their classes before I do. Why isn't the process made so that the students with the most credits and the highest GPA choose first? This is how other international universities tend to work. It seems to me that it would favour your best students, which are probably the most important ones for the university. I am not trying to be elitist, I just hope for you to realize that you might lose great students when acting that way. On a more technical note, the registration form and website are completely ridiculous. Who still uses Internet Explorer in 2014? Obsolete doesn’t even begin to describe it. And the form… When it isn’t sticking classes you do not need in your schedule, or reset after 20 minutes, it just plainly crashes in the middle of your registration. Ask any of your IT undergraduates and I’m sure they can come up with something a world better. Try to make it so that it can check for you if you have exams conflicts, or if you didn’t yet take the prerequisite for a class. I am disappointed with you, my university. I had high expectations, I was happy and committed when I landed here. Now, I don’t even know what to think. What will your degree be worth to me? Four years of nonsense, lazy work and fake smiles, is that what awaits me? It that what you want your students to remember? You could do so much better. UPDATE: Since this is getting way more attention than originally thought, I thought I was going to address some things. No one tried to get in touch with me before this whole thing got big, or even now; you can imagine my surprise when I heard my one year old open letter was on the Ethics final exam. That was very weird to hear. First of all, thanks to everyone that took the time to read this letter: it's almost overwhelming the amount of attention this essay got and I think it sparked interesting discussions. I'm glad the Ethics class thought appropriate to share this in the final exam. I know many people are thinking ABAC doesn't care, but I think this action showed that they do care a little bit. At least enough to make over a thousand students read this and ask for their opinions. It could have been worse: they could have tried to burrow it and ignore it as empty criticism. It came to my attention that some persons are indeed trying to stop this letter from spreading. I take it that it must be making some type of disturbance somewhere in the university. I reckon that's a good hint that we should continue spreading and sharing it. To the people thinking this is being rude, I invite you to research all the claims made in this letter and prove them wrong. Maybe those things are not pleasant to hear, but they are our reality. Thank you for keeping an opened mind and trying not to shut down the discussion. Also guys, I'm a girl. Finally, I would love to hear what came out of the Ethics exam. I would be delighted to hear that something concrete came out of all this. You can leave a comment below if you have something to ask or want to contact me. I've been reading most of the comments here and on different groups on Facebook and I want to address some points furthermore. I don't think turning this problem into "Thais vs Foreigners" is helping. The problems mentionned above do not concern exclusively Thai students and Thai staff. Please keep this in mind. For the people that shove aside my opinion because "it's one year old" or because I'm a freshman (which is not accurate anymore), I would like to inform you that these problems are still going on this year, and will probably be still next year if no one does anything. Some people are taking this criticism very personally. I wrote this to point out problems about the system. I didn't say everything is bad in ABAC, I didn't say all students are idiots, I didn't say every teacher should get kicked out. Please try to keep an opened mind and see things clearly. I am not trying to attack anyone, I just want things to get better. There is some rumor that I'm a very poor student, academically speaking, which would be the reason why I joined ABAC (instead of Oxford apparently). My GPA is fine, you can stop worrying about it. For people that say "go away if you're not happy"... This is not how we solve problems. If you think ABAC doesn't have problems, maybe you should open up your eyes a little and start thinking critically. Please stop turning the discussions around to say what is good about ABAC. This is completely unrelated, as we are trying to point out all the problems that need solving.